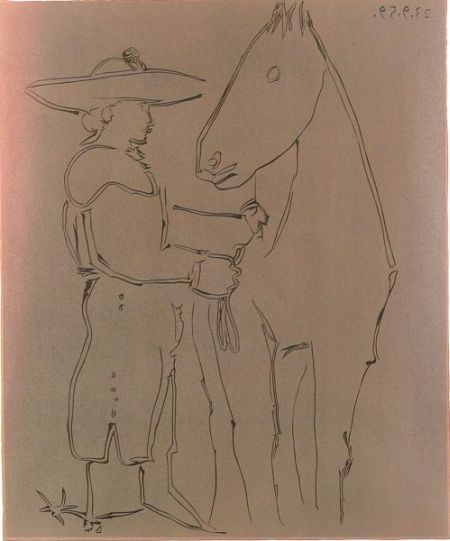 Picador Debout Avec Son Cheval, 1959, edition of 50 (Bloch, 912; Geiser, 1237). 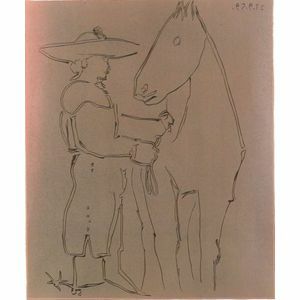 Signed "Picasso" in pencil l.r., numbered "21/50" in pencil l.l. Linocut in brown and black on cream Arches paper with watermark, image size 25 x 21 in. (63.5 x 53.3 cm), framed.